In regular IRA and Roth IRA accounts you are traditionally allowed to invest exclusively into stocks, mutual funds and securities. If you would like to have an option to invest in alternative assets like real estate, franchise, mortgages, partnerships, a self directed Roth IRA might be right for you. However, there’s a strong outline of prohibited investments that could not be done under self directed Roth IRA accounts if they could benefit disqualified parties. You are also not allowed to invest in Life Insurance or collectibles assets. According to self directed Roth IRA rules certain transactions are prohibited and can not be carried out like investment into artwork, coins, precious stones, metals or rugs. Self directed Roth IRA under no conditions can profit relatives, heirs, family members or beneficiaries of any kind. If any of the established rules for self directed Roth Ira are broken, the account stops receiving tax benefits and might be responsible for paying back taxes starting at the beginning of the fiscal year in which the prohibited transactions took place. Self directed Roth IRA must be maintained by qualified custodians who have extensive expertise to guide you through complicated world of self directed Roth IRA and recommend you if this type of retirement investment is right for you to maximize your retirement cash flow in the future. Qualified custodians are also able to steer you clear of prohibited or so called self-dealing transactions that could cost you losing your tax benefits associated with self directed IRA. The main purpose of a self directed IRA is to benefit the retirement account and not the holder. For example, your self directed Roth IRA plan can not invest in a home owned by you or your relatives since this will violate basic principles of this type of retirement account. 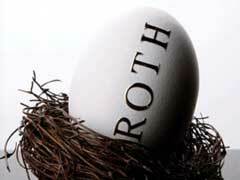 Contributions into a self directed Roth IRA could not exceed $5K in 2009, 2010 or $6K if you are over age 50. If you would like to consider a traditional IRA rollover into your self directed Roth IRA account, talking to your qualified custodian will help you decide whether it is a financially sound decision due to many factors that must be taken into consideration. Nondeductible IRA - When Are They Useful? Who Offers Solo 401K Plans?